As the latest installment of the quirky Versus series, Marvel vs. Capcom Infinite wouldn’t live up to tradition if it didn’t have some silly tactics lurking within its code. Capcom’s team-based fighting franchise is as chaotic as it is beloved. Past games have had infinite combos and assist-heavy setups that make avoiding damage nearly impossible. Despite its name, that’s not all going to fly in Infinite. Thanks to a recent story demo, fans have figured out the newest strategies Infinite’s developers are using to slow down, if not completely remove, aspects of the franchise that make players feel the most powerless. Capcom has confirmed to Compete that they have implemented two measures that should anticipate avenues players may use to develop infinite combos. Infinite combos are divisive. They tend to be exploits that take advantage of certain mechanics or glitches to lock opponents into an endless series of attacks from which they can’t escape. While developers do whatever they can to make sure infinites aren’t possible in their gameplay systems, there’s no combatting the grit and determination of serious players looking to squeeze as much out of a release as possible. These efforts ran into a brick wall earlier this month as players studied the restrictive Marvel vs. Capcom Infinite story demo. Due to its focus on the upcoming game’s narrative instead of gameplay mechanics, competitors hoping to learn more about Infinite had to do so against uncooperative AI opponents with low health totals, making it hard to draw any concrete conclusions about how the game will play when it launches on September 19. Of course, where there’s a will, there’s a way, and few groups have as much perseverance as the fighting game community. On June 12, a collection of Mexican players known as Team Lago dropped a video purporting to show a Chun-Li loop in Infinite. Loops, or attack strings that can be looped into themselves, often form the basis of infinite combos due to their repeatable nature. Some took Team Lago’s findings as a sign Infinite was heading down the same road as the numerous Versus titles that came before it. Despite these findings, it still wasn’t clear how long this loop could be repeated. 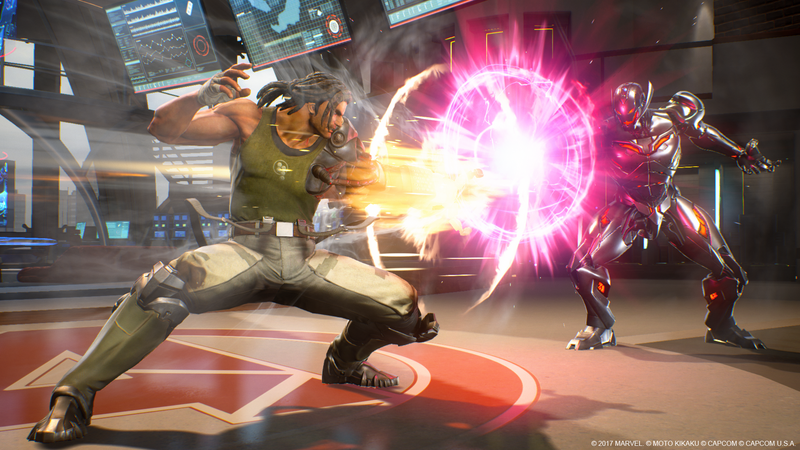 Desk, a prominent fighting game YouTuber, tested three different versions of the loop in a video released on June 15, keeping the damage low to get as much out of the demo enemy’s low health as possible. His testing revealed that Marvel vs. Capcom Infinite utilizes a system known as hitstun deterioration, which was previously implemented in Marvel vs. Capcom 3 to prevent infinites. Hitstun refers to the amount of time an opponent is unable to perform an action after being hit by an attack. Along with things like move recovery, it forms the basis of combo theory. Thus, hitstun deterioration is a system in which moves gradually deal less hitstun during a lengthy combo, progressing to the point where linking one move to the next becomes impossible. But that’s not where Marvel vs. Capcom Infinite’s infinite prevention ends. The developers have also implemented a more drastic system to reduce the chance of endless combos popping up in their game. The same day he debunked Chun-Li’s loop, Desk dropped a video showing that Marvel vs. Capcom Infinite will automatically end combos after 20 straight grounded attacks. 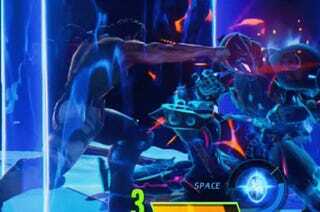 He pulled this off by allowing the demo’s boss, Ultron Sigma, to place him inside of the Space Stone’s Infinity Storm, trapping him in the corner and preventing pushback from occurring after each attack. As you can see in the video below, as soon as the combo hits the 20th grounded attack in a row, the opponent flips out of the combo and can no longer be attacked until they recover. A similar system is utilized in Street Fighter V, where opponents automatically escape combos that max out the combo counter at 99. Marvel vs. Capcom Infinite has a lot to live up to, both due to its pedigree as the latest in a long line of classic Versus titles and as Capcom’s follow-up to the much-maligned Street Fighter V. That said, these infinite prevention systems don’t guarantee limitless combos will be impossible. Players have always found a way past these restrictions—seen most recently in Ultimate Marvel vs. Capcom 3’s hitstun deterioration-bypassing TAC infinites—and the only way to know the full breadth of a game’s possibilities is to put it through the rigors of competition.